Spinach (Spinacia oleracea) is a flowering plant in the family of Amaranthaceae. It is native to central and southwestern Asia. 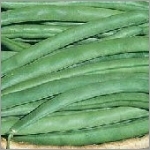 It is an annual plant (rarely biennial), which grows to a height of up to 30 cm. 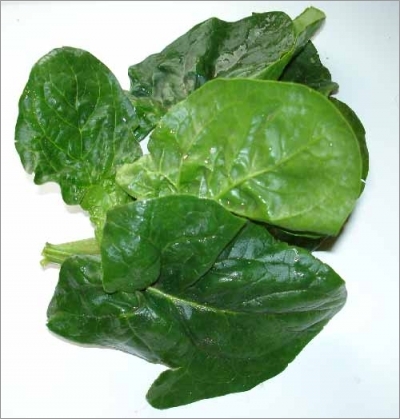 Spinach may survive over winter in temperate regions. The leaves are alternate, simple, ovate to triangular-based, very variable in size from about 2-30 cm long and 1-15 cm broad, with larger leaves at the base of the plant and small leaves higher on the flowering stem. The flowers are inconspicuous, yellow-green, 3-4 mm diameter, maturing into a small hard dry lumpy fruit cluster 5-10 mm across containing several seeds.